The Injury Free Coalition for Kids joined forces with the Allstate Foundation to build a safe place for the children in the Village of Freeport, New York, to play. More than 150 volunteers came together to build a Little Hands playground that was destroyed by Hurricane Sandy just over a year ago. "It is really important for children to have safe places to play," explained Dr. Barbara Barlow, the Founder and Director of the Injury Free Coalition for Kids. She went on to say playgrounds provide outlets for children to exercise, express themselves, and to be healthy both physically and emotionally. Young people played a role throughout this process. Winners of an art contest from the Freeport Recreation Center's Summer Camp provided the inspiration for four panels of artwork on the playground. 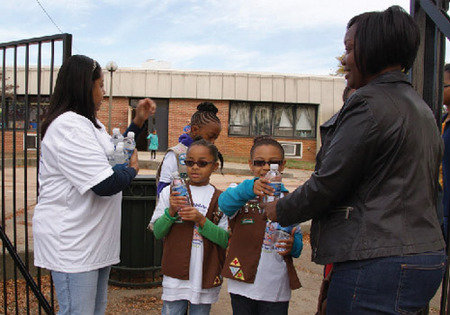 Although young people were not allowed in the build area, Girl Scouts from Brownie Troop 2328 kept workers hydrated by handing out bottles of water. 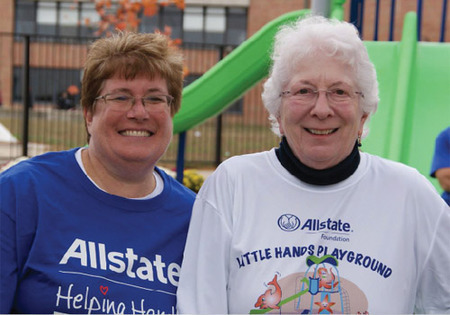 It was Troop Leader Carole James, an Allstate Insurance employee, who prepared the proposal for the Foundation to install the playground. 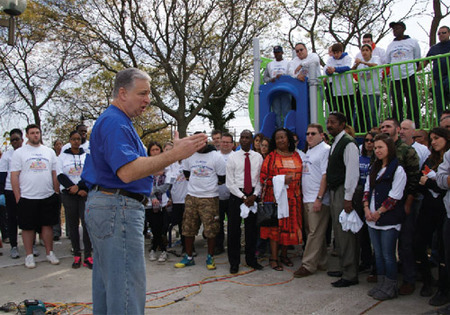 Among other joining Injury Free to build the playground were close to 80 Allstate agents, claims representatives, accountants, owner Agents, and other employees of the Corporation. The Friends of Freeport, an organization made up of neighbors helping neighbors after the storm, also worked throughout the day. Everything was done under the direction of Vanessa Martelli of Universal Play Systems. This playground is one of more than 50 the Allstate Foundation and Injury Free have built across the country. At least 10 of them were constructed to give children safe places to play after natural disasters. 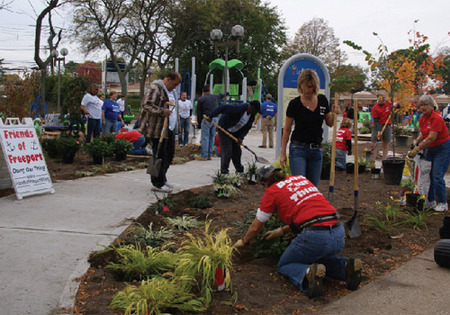 The playground was dedicated October 31, 2013.